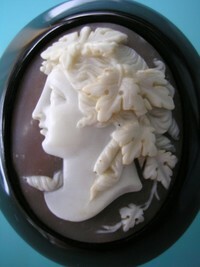 Exquisite circa 1890 antique Victorian Whitby jet dark shell oval cameo brooch depicting Bacchus, the Roman god of agriculture, wine and fertility. 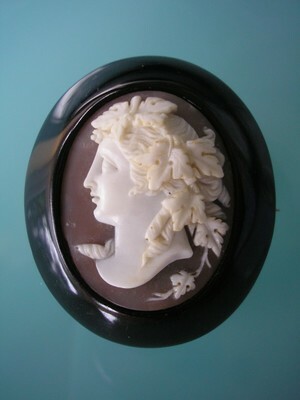 This piece measures approximately 39 x 25mm. 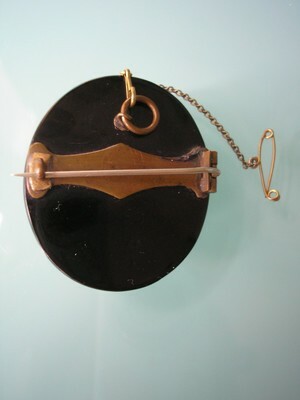 Weight with safety chain is approximately 19.30 grams.